The Reveurs have been steadily building a following over the past twelve months. 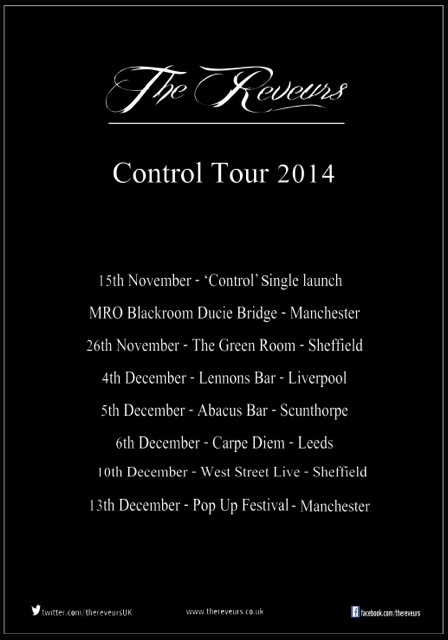 Their second official release Control is out on Monday and it's a massive step-up for them sonically. They launch it with a gig at the Ducie Bridge in Manchester this Saturday. We're proud to exclusively reveal the single here and have a chat with front man Gary Nelson. The first thing you notice about Control is the guitar line which runs through the song, but there's a surprise when you get to the chorus and the power generated when the drums kick in and Gary turns his vocals up a notch. Immediately recognisible and a highlight of their live sets, it's set to be their calling card, a song that'd be equally at home in the academies and arenas and on the radio stations of the land as it is in the smaller venues they're playing at the moment. We had a chat with Gary ahead of the launch gig on Saturday. Can you introduce the members of the band to us please? We are Gary Nelson on vocals and guitar, Iain Brewster on guitar and backing vocals, Adam Molyneux on bass and Ben Davenport on drums. How long have you been going and what have you released so far? We have been going just short of a year, and at the beginning of the year we released two tracks with Scruff Of The Neck Records via the Mixtape Volume 1 and also a 3 track EP further into the year. The single launch party is actually a year to date of when we did our first gig, so it's kind of a big night for us, we can’t wait. And if you had to describe your music to someone who has never heard you, where would you start? Reveurs is French for dreamers. Is this the source of your name and why did you choose it? Yeah this is how we thought of the name, we wanted a name that meant something to all of us that described us individually and also as a band. How does the band write your songs? We all write together it can spark from a guitar riff or a drum beat or a vocal, Gary writes lyrics which are true to his own personal experiences. We try and draw on as much as we can in order to explore as much as we can. We don’t tie ourselves to a particular structure. Control is your new single and your strongest song to date. What is it about and is the chorus a homage to Depeche Mode or merely a coincidence? It's about realizing that your not tied down anymore, that you don’t have to look over your shoulder and check if you are doing something wrong, It's just about letting yourself go and just not giving a f**k anymore. We would say that it is probably a coincidence as not many of us had actually heard of them until you asked this. What are your plans after the single and the launch gig on the 15th? We plan to get up out of Manchester and get ourselves around the rest of the UK and gig as much as possible, we will also be heading back into the studio sometime very soon. 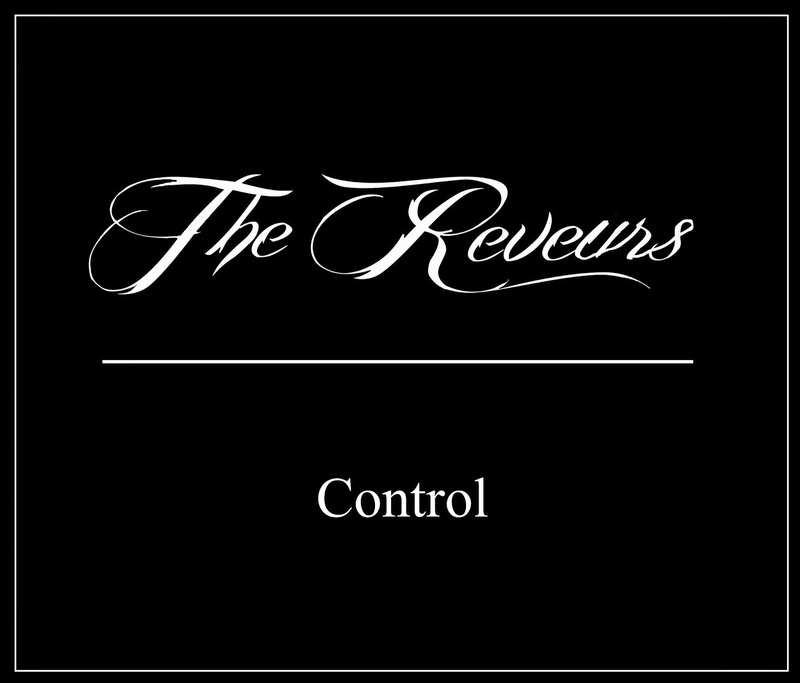 The Reveurs' official website can be found here. They are also on Facebook and Twitter. Their debut EP can be downloaded free from their Soundcloud site.